We do not do any acid bathing. We polish the skin with rotary drum polishing tools to a mirror like finish (5 step process). We coat the bumper (if not aluminum) and tongue in Truck Bed Liner (similiar to Linex, Rhino). Prices: Please see our Pricing List. Customer acknowledges that the highly polished finish will vary from trailer to trailer, depending on type and grade of aluminum panels. 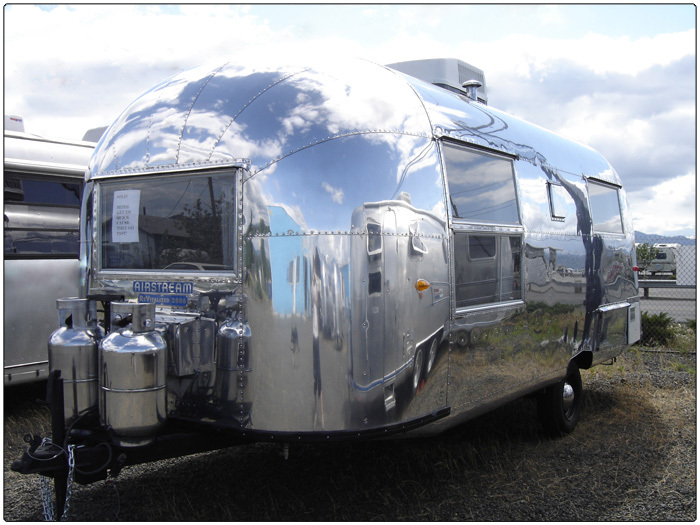 Customer agrees that pre-polish pictures can be taken of their trailer skin to establish existing conditions (dents, scratches, pitting, etc.) and they will be incorporated into the formal agreement. Customer agrees to provide us with a accurate discription of trailer prior to drop off. 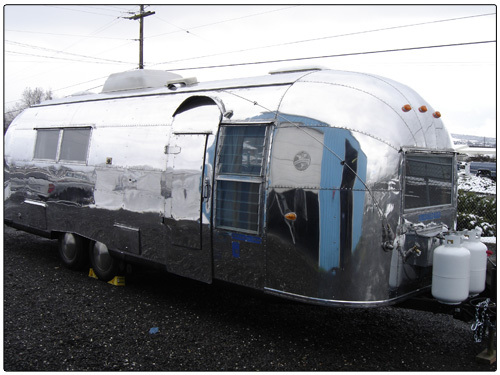 Customer agrees to give us, at least, four (4) weeks to polish the trailer, after drop-off date. Upon concluding that we can polish the trailer, we will provide a written “Airbrite Polishing Work Order Agreement” to the customer for acceptance. Payment: 50% upon acceptance of polishing agreement and 50% at time of pick-up. 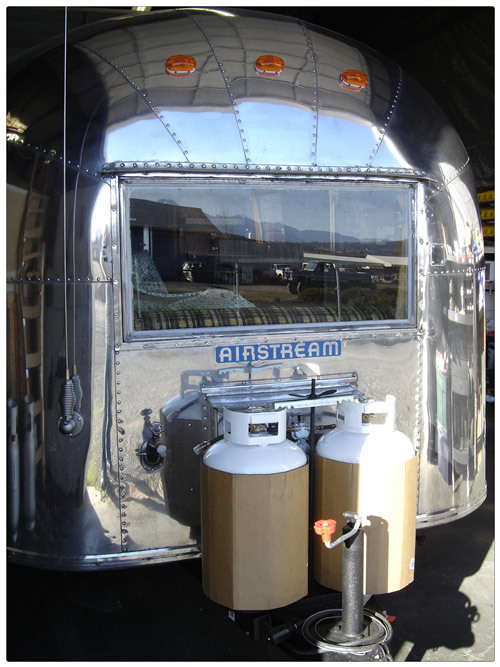 Would you like to have brand new polished LP tanks with your fresh polished Airstream?